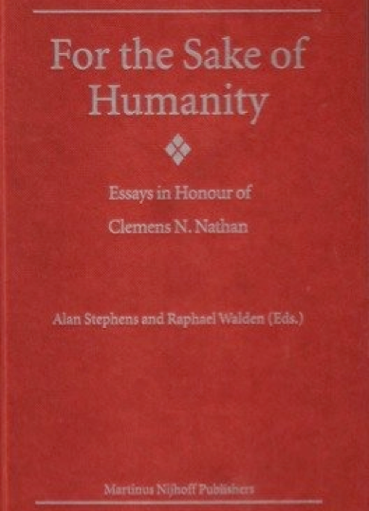 For the Sake of Humanity is a collection of essays in honour of Clemens N. Nathan, a man occupying a remarkable position in the public life of the United Kingdom. Over a period of several decades, he has stimulated and facilitated discussion, research and study on a striking array of topics, including international organisations, Human Rights, interfaith relations and the Holocaust and German-Jewish history - as well as in his own area of professional expertise: textile science and technology. His approach has been characterised by academic rigour, social concern and a commitment to historical truth, along with an adventurous and innovative spirit. All these qualities are also to be found in this collection of essays by his friends and admirers, to produce a truly fascinating book, with new insights into many topics, and a number of chapters destined to become classics in their fields. Above all, it is an erudite and charming volume, full of surprises!